Annually, an event takes place around the 8th/9th of may in the Berchtesgadenerland. While the rest of the world is celebrating the capitulation of the Nazis, SS veterans and neonazis meet on a hill (where the execution took place) to hold a memorial for a French Waffen SS-division that was executed at the close of WWII. 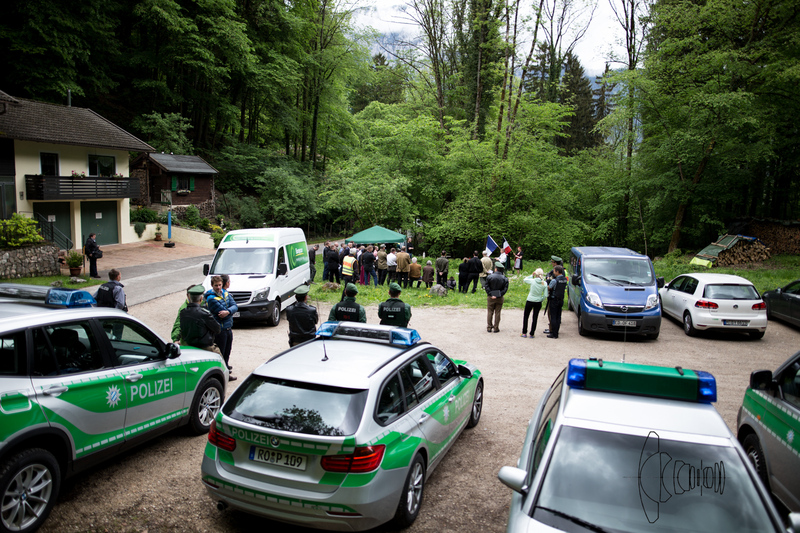 Three days ago, colleagues and I travelled to Bad Reich enhall to document the event. 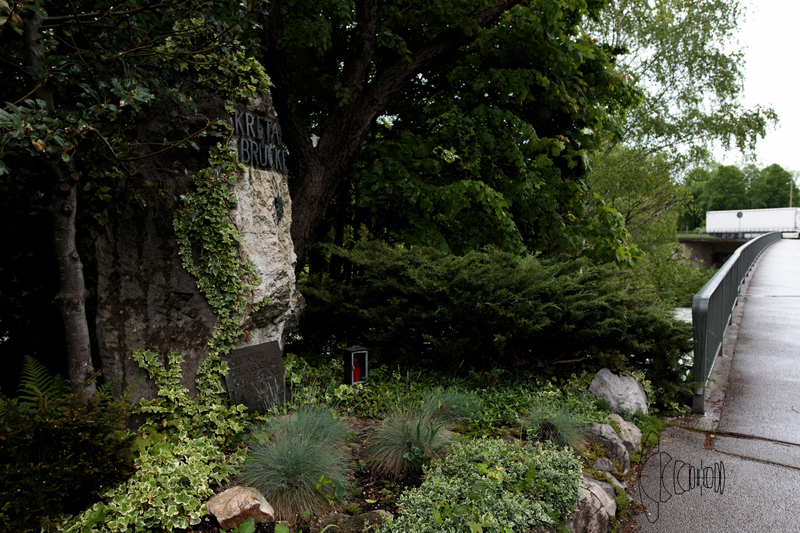 We arrived on Saturday morning to the village and made the ascent on foot to the memorial site. 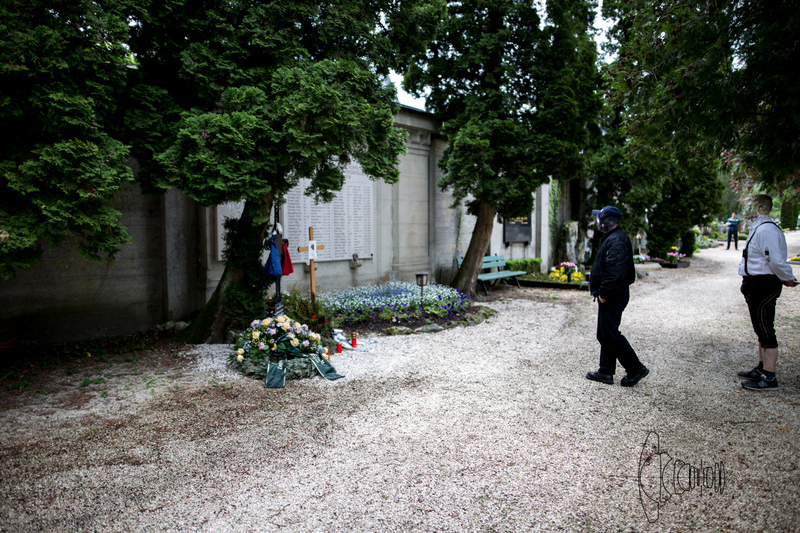 The Neonazis were setting up their mobile memorial site- a rune with a German soldier’s helmet on top. Slowly, the sympathizers and participants arrived. Among them known neonazis and hate preachers. The party „Die Rechte“, with Phillip Hasselbach as their leader, showed up. Edda Schmidt (who held a speech later) from the RNF (Ring of Nationalist Women) was a participant and speaker. 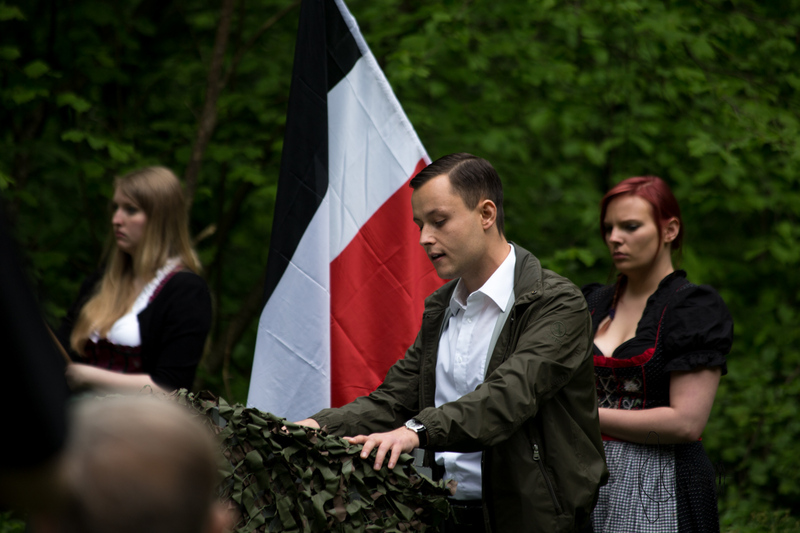 The memorial started with a speech by Uwe Brunke – NPD – welcoming everyone, explaining the „Richtlinien“ (legal policies) of the event and also mentioning us („Lügenpre sse“). The ceremonies instilled something of a scary feeling within us. During the speeches, antisemitism was openly preached. Phillip Hasselbach, for example, who has been documented as getting dangerously close to Holocaust denial in his speeches, made mention of the „Krummnase“ (hooknose- a slur against Jews). Mr Brunke himself who was the „Anmelder“ (official registrant) also talked about Europe and America being controlled by the Jewish „Hochfinanz“ (finance industry). In the end a young boy failed to play the trumpet in front of his comrades and the neonazis then sang „Wenn alle untreu werden“. Short video about the “Charlesmagne” Gedenken 2015 on my YouTube Channel. This song is not forbidden but was an explicit „Waffen-SS“ song during the Third Reich. With perfect timing, the skies opened up and heavy rains began falling during the song. (Brumke then made a vague mention about “power moving the weather”). Some well known faces from BAGIDA/PEGIDA-München also showed up. Peter M. – as previously mentioned – accused of Holocaust denial, first pretended to be happy to see us and began posing for our cameras. After some minutes, his comrades shouted at him like as if he was a misbehaving dog. His mood towards us shifted to one of anger and he repeatedly displayed his middle-finger (which had an iron cross ring on it). 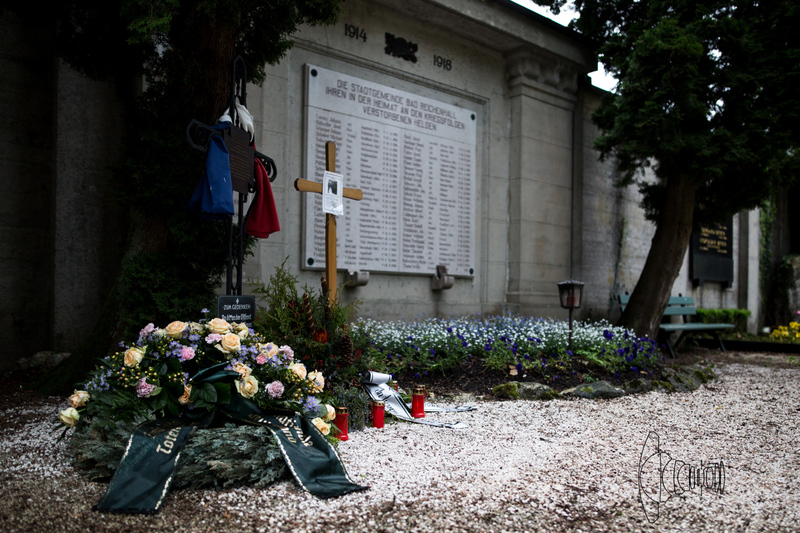 After the ceremony they moved the „Kranz“ (wreath) to the cemetery, next to the memorial site for the fallen SS soldiers.